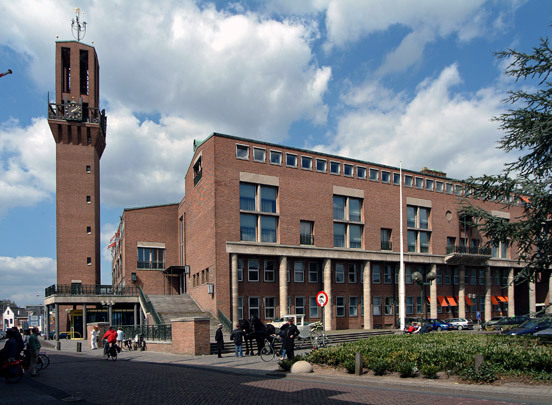 In this town hall the architects sought to make 'the unity and cohesion of public and non-public areas clearly visible'. Offices for the town clerk and administration and reception rooms are grouped round a central triple-height hall on the first floor, lit from high sidelights and capped with a steel roof. With such monumental elements as flights of stairs, landings, pillars and a Palazzo Vecchio-style campanile the building symbolizes traditional hierarchies of power.